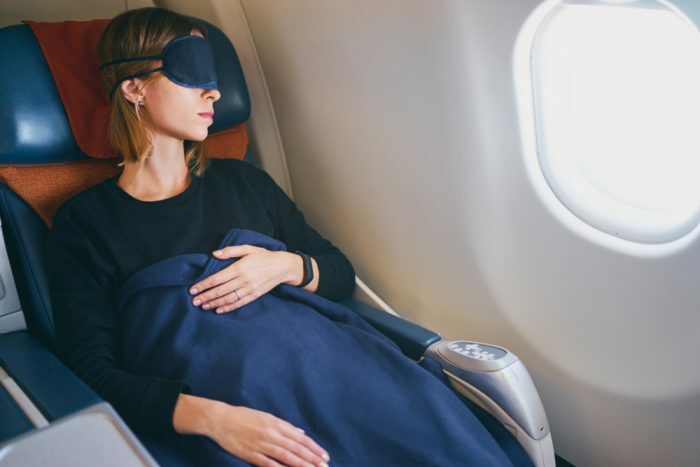 Long flights can be a bit of an ordeal, especially if you’re stuck on a full flight – leaving you in close quarters with all the other passengers. It’s easy to land feeling absolutely gross and exhausted, especially if you didn’t sleep the night before and have had a particularly long flight. Luckily, there are ways to make your flight fairly painless, and leave you feeling relatively fresh and relaxed when you land. When you book your flight, think long and hard about what kind of seat you want, window or aisle. No one wants to end up in the dreaded middle seat. Both have their perks. Window seats allow for frequently stunning views (unless you’re seated over the wing), but they could be a nightmare for a particularly claustrophobic flier. They’re also a pain if you’re the kind of person who needs frequent bathroom breaks, and honestly – on a long flight who doesn’t? An aisle seat has the convenience of being less claustrophobic, especially if you’re on the tall side. The absolute best case scenario – your flight isn’t full and you’re able to switch spots to a section where you’d have an empty seat next to you. That’s why it’s always smart to check the seat selection upon your check-in, especially if you’re flying solo. Airport meals are an essential part of the flying experience, but when trying to decide what and where to eat; it’s not a bad idea to opt for something on the lighter side, as you never want to feel too full on a flight where you have very limited room to stretch out. The “Mad Men” era days of people flying while wearing their Sunday best are long gone. If you’re taking a flight, pick comfy clothes you don’t mind being stuck in for a long haul. Moreover, choose comfy shoes while you’re at it, especially ones you can quietly slip off on the flight (provided you change into a fresh pair of socks of course – your seatmate will thank you). Towards the end of the flight, it’s not uncommon for the weary traveler to feel a little gross after the flight. One quick tip is to pack a toothbrush, a tiny tube of toothpaste (within the TSA allotment for liquids of course) and a stick of deodorant (which you should seal in a plastic Ziploc bag in your carry-on). You’ll feel so much better when you land if you’d had the chance to freshen up before you land. Flying can be a bit of a hassle at times, especially when you’re eager to start your vacation, but it can also be a lot of fun if you go in with the right attitude. After you’ve followed these tried and true tips, you’ll hopefully land feeling like a million bucks and ready to start your adventure! ← How To Minimize PHL Airport Hassle 24hrs Before Departing On Your Adventure.